When the United Nations (UN), in October 2016, passed a contentious anti-Israel resolution denying the Jewish connection to the Temple Mount and Western Wall in Jerusalem, publisher of The Israel Bible and founder of Israel365 Rabbi Tuly Weisz decided to go full-steam-ahead and “Bombard Them With Bibles”. “Anyone who can disconnect the Jewish nation from Jerusalem has not read the Bible,” he explained to Breaking Israel News. 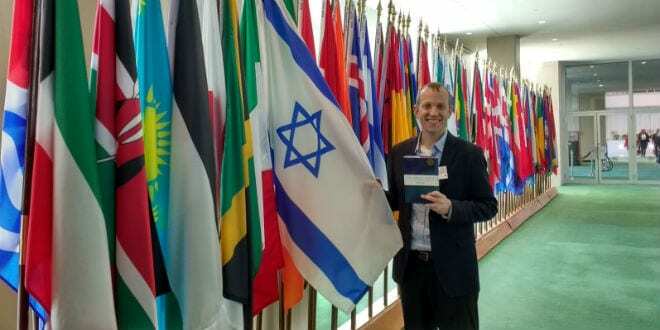 Rabbi Weisz visited United Nations headquarters in New York last week in order to personally deliver a copy of The Israel Bible. Upon his arrival, Rabbi Weisz met with his guide for the day, a UN employee, who told him an incredible fact. 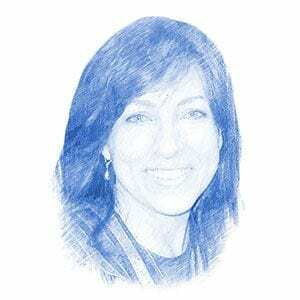 After warmly greeting Rabbi Weisz, the guide explained that she was a Christian Zionist who proudly displays an Israeli flag propped up on her desk and a Jewish calendar hanging over her computer – and she’s not the only one at the UN who supports Israel. The guide told Rabbi Weisz that an overwhelming number of UN employees are vehemently anti-Israel, but she and a small group of others meet each week to pray for the peace of Jerusalem. “I was shocked and touched to find out that deep in the halls of the UN are Christians like this woman who believe that God placed them there in order to serve as watchmen who are playing a unique role in defending the Jewish people,” said Rabbi Weisz. 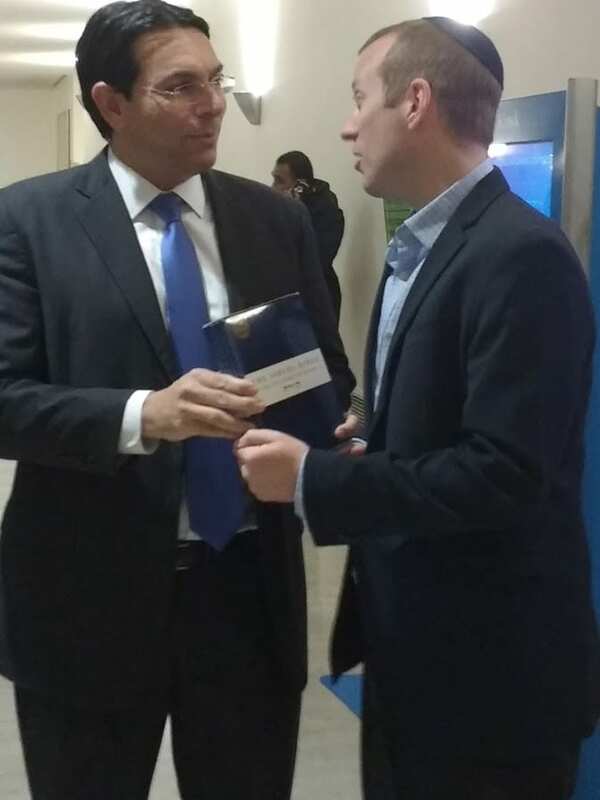 Rabbi Weisz expressed his appreciation to Ambassador Danon for his courage in bringing Biblical truth to the attention of world leaders despite their hostile reception, just as the Jewish people have been doing for thousands of years.